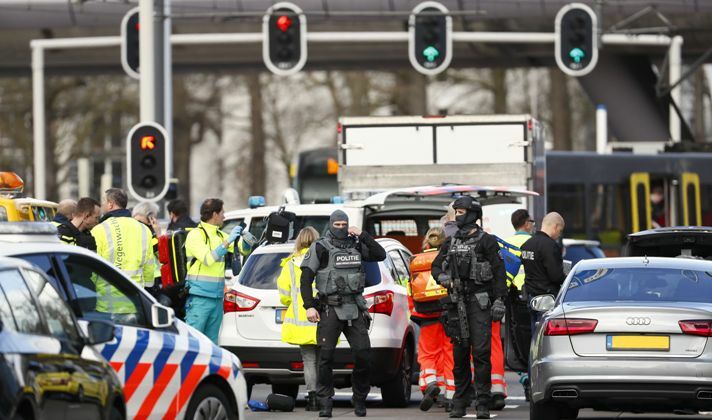 “At this stage, we can confirm three deaths and nine wounded three of them seriously," Utrecht Mayor Jan van Zanen said in a video statement on Twitter. Dutch Prime Minister Mark Rutte had earlier said there were ‘possible deaths’ and that a terrorist motive was ‘not excluded’. Dutch police released a picture of a Turkish-born man they are hunting over a shooting on a tram in Utrecht. Earlier, a body covered in a sheet was reportedly seen on the tracks as armed police and emergency services swarmed around the scene in one of the largest cities in the Netherlands. The head of the Dutch national counter-terrorism service, Pieter-Jaap Aalbersberg, said on Twitter that he was having ‘crisis consultations’ over the incident. “NCTV is monitoring the situation in Utrecht in close contact with local authorities. We cannot rule out terrorist motive. Crisis team is activated,” he said. In September, Dutch investigators said they had arrested seven people and foiled a ‘major attack’" on civilians at a major event in the Netherlands.